Written in 1854, Jeanie with the Light Brown Hair was dedicated to composer Stephen Foster's wife, Jane McDowall. The opening lyrics, "I dream of Jeanie with the light brown hair," are said to have inspired the popular 1960s sitcom, I Dream of Jeannie. 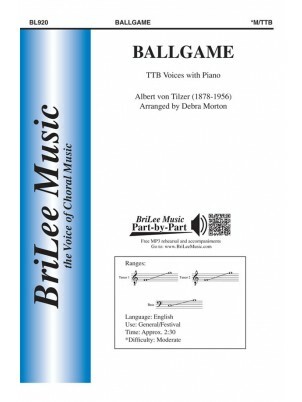 Sweet and lilting, this whimsical piece is arranged for soprano and alto voices. Most vocal teachers have already discovered Jay's extremely popular Folk Songs for Solo Singers collections. And now, Alfred is excited to offer another for vocal students and their teachers! American Folk Songs for Solo Singers includes an excellent variety of solo material for recitals, concerts, and contests, available in two voicings. K. K. Davis certainly had a knack for seeing greatness in simple things. 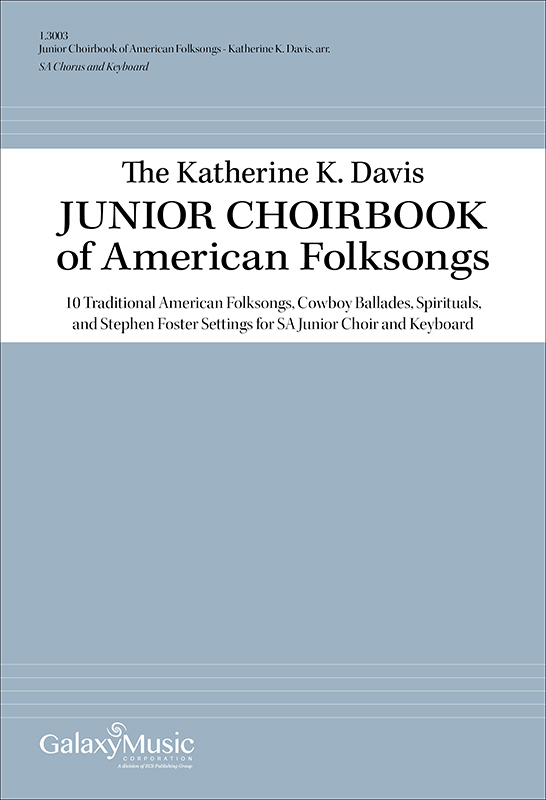 Here is a collection of ten traditional American Folksongs, Cowboy Ballades, Spirituals, and Stephen Foster settings arranged for junior choir. The five arrangements are in various scorings. One is accompanied by piano three hands, another by organ, and the rest are for piano. Each hymn is beautifully arranged and is a wonderful addition to any service or concert programme. This superb 382-page resource contains more than 350 North American folk songs, carefully sequenced both rhythmically and melodically for use with the Kodály method, which is based on authentic Hungarian folk music. The collection features information about solfege, form, phrase, length, range, rhythmic construction, and more. 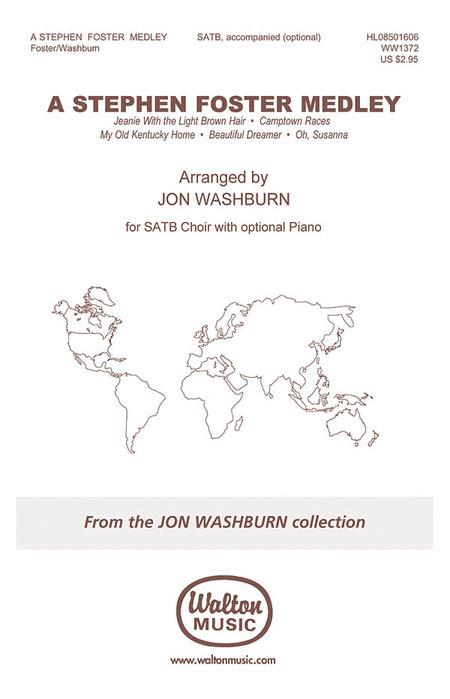 Concert arrangements for voice and piano in an art song style of 35 great folksongs from the American heritage. These interesting and expressive settings are appropriate for collegiate recitals or advanced high school singers as contest solos. The songs range from comic to sad, from rowdy to inspirational, and there are selections appropriate for women and men singers. 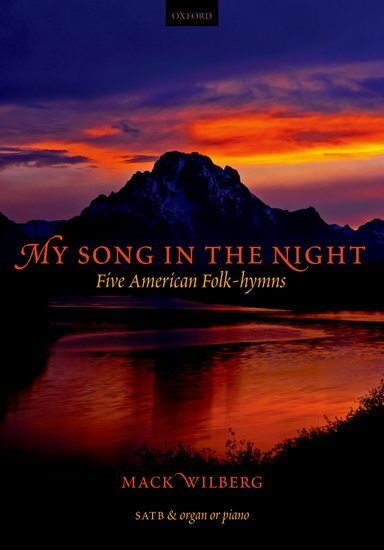 The collection is primarily comprised of secular folksongs, with a few sacred American folk tunes. The same songs appear, transposed, in the editions for High Voice and Low Voice. There are three bonus duets included. Stephen Foster was America's Schubert - the lyric laureate of the 19th Century South. With Foster sentiment was a virtue, expressed in sweet harmonies and haunting tunes. The underlying emotion of these songs is nostalgia - a pervasive longing for things lost which seems to permeate the very intervals of the melodies. When Foster - like Schubert - died young and poor, it seemed as though he was fulfilling the prophecies of his own melancholy songs. Jon Washburn's medly of favorite Stephen Foster songs was composed in 1985 for the Vancouver Chamber Choir and premiered on a concert called the music of the Great Songwriters. Gregg Smith edits/arranges 'Come Where My Love Lies Dreaming,' which was elected by the National Endowment for the Arts as an one of the "American Masterpieces" of choral music. Halloran's arrangement of camptown races is very fun to sing, great opportunity for a soloist along with some excellent vocal accompaniment. Halloran's arrangement of Nelly Bly is equally fun with an energizing chorus, and the men get the melody in the verses! This 29-song salute to peace and patriotism features traditional heart-warmers and contemporary hits. It doesn't get more Americana than singing a Stephen Foster song in the close harmony barbershop style! From the Barbershop Society themselves these arrangements are as timeless as the songs themselves. Displaying 1-50 of 258 items. 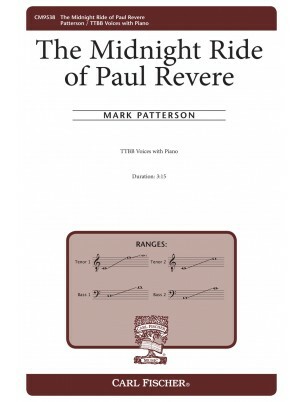 This TTBB setting of The Midnight Ride of Paul Revere is based on Longfellow's poem of the same title and captures the mystery, intrigue, and suspense found in this classic story. Throughout the piece, Patterson's flair for variety and musical interest makes it easy to maintain performance energy and is certain to keep audiences riveted. Featuring canonic imitation, vocal ostinati, and delicately intertwining melodies, this a cappella setting is stunning. 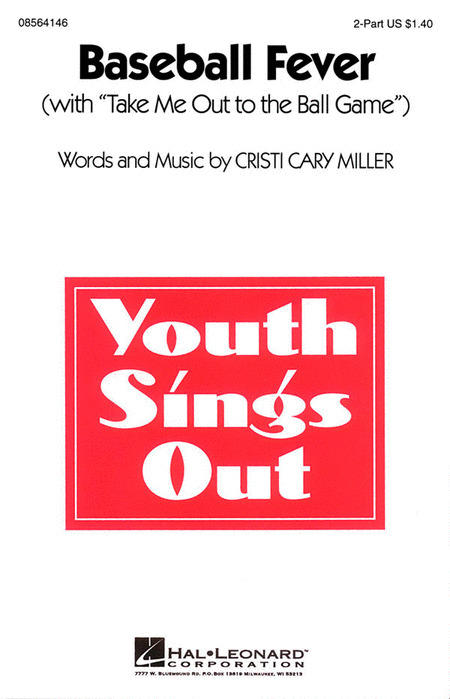 Contemporary use of harmony within a well-loved folk tune creates a strong addition to literature for the women's chorus or youth choir. Simple but effective writing - excellent contest choice! Available: SSA. Performance Time: Approx. 2:10. This beloved American folk lullaby incorporates the repeated word hush-a-bye throughout the arrangement, creating a sweet and calming effect as the melody weaves in and out between the different vocal lines. Simple and straightforward, the setting imparts a quiet note of sadness and longing. Duration: ca. 2:40. 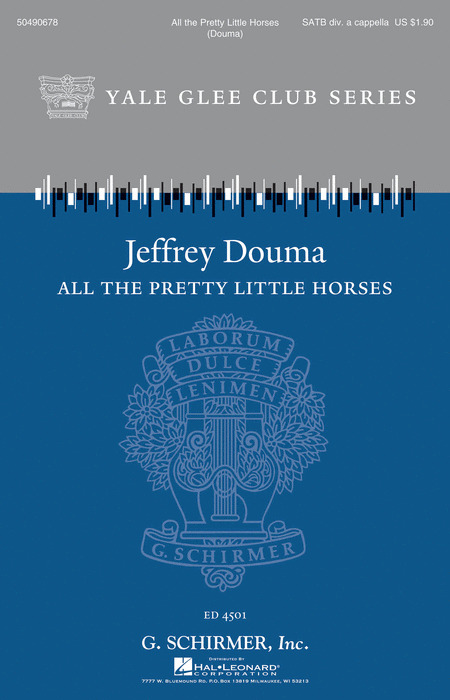 Recorded by the Yale Glee Club, Jeffrey Douma, conductor. Tenor-bass ensembles will love singing this time-less favorite craftily arranged by Debra Morton, sure to be the highlight of any concert program. Play ball!!! Jerry's new contemporary twist on this Stephen Foster favorite is absolutely refreshing and very creative. The ranges are a great fit for young and developing choirs and the piece exudes energy and rhythmic excitement with the piano and vocal rhythms emulating the sound of a plucked banjo. Mack Wilberg's very successful SATB arrangement of this rousing American folksong has been aptly set here for male chorus. Although the piece can be effectively performed with piano accompaniment alone, the optional fiddle, guitar, woodblock, tambourine and string bass will add just the right kick. Difficulty Level: Medium Advanced Adult. Written for the city of Northfield, Minnesota, this work celebrates the hopes and dreams of the early settlers who valued the principles of equal rights, education, faith and public service. An excellent tribute to all American communities and ideal for many civic occasions. With flute. A bluesy piano accompaniment and well-orchestrated finger snaps drive this cool setting of the American folksong. The marriage of traditional African work song, hammer swinging included, and ballad text from the British Isles make this arrangement a unique delight for both performers and audiences. This Appalachian folk song is a standard among folk, country and blue grass bands. This arrangement takes advantage of the lyrics and uses them like a percussion instrument. Terraced dynamics are used throughout while vocal ranges are carefully crafted.